Together, the cybercops lured numerous unsuspecting hackers into their clutches. Yet at every turn, their main quarry displayed an uncanny ability to sniff out their snitches and see through their plots. The culprit they sought was the most unlikely of criminals: a brilliant programmer with a hippie ethic and a supervillain's double identity. Together with a smooth-talking con artist, he ran a massive real-world crime ring. If you have already read/listened to 'ghost in the wire' then this book will fall short of your expectations. It is ok as a documentary /journalistic styled read. I was absolutely enthralled Kingpen. Before listening to this book I never would have expected that, by the end, I would be rooting for Max Butler AKA Iceman. I knew he would inevitably get caught, and I don't support the crimes that he committed. But I really sympathized with him. He was a genius and could have easily become one of the most prominent figures in cyber security, protecting us all from the rampant cyber crime, if only our criminal justice system had treated him more fairly when he was younger. He serves as a reminder that the justice system can transform misguided youth who are innocent at heart into icemen if they are not careful. I would really like to see this story made into a movie. I just wish I could convince more people to read the book. Where does Kingpin rank among all the audiobooks you’ve listened to so far? What other book might you compare Kingpin to and why? 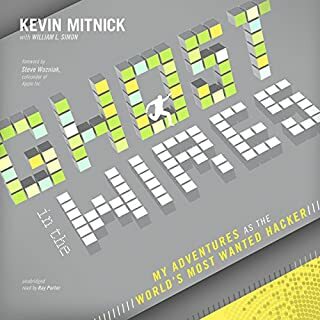 Ghost in the Wires by Kevin Mitnick. The basic content and storylines are very similar. If you enjoyed one, you will enjoy the other. Performance was well done and enhanced the books performance. What did you love best about Kingpin? I think Poulsen was the second best person to write this book, Max Vision himself is the only one who could have done a better job because the book is about him. That's really what separates this book from Ghost in the Wire, Mitnick wrote his own book and this is a second hand account of everything that happened. Still, I loved it and Poulsen did a great job with it. What was one of the most memorable moments of Kingpin? Max changes his name to Max Ray Vision. Clearly it says something about you when you change your name. We get a sense that Max is a tortured soul wanting to do good and then reverting to crime and his need to be in control and hack. I think this book would make an excellent film, with a film it's all about what you focus on and the wild parties would make good cinematography. 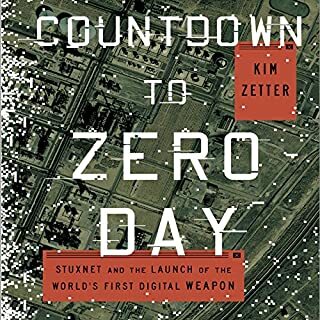 Some of the book has an investigative journalist feel to it and other parts feel more like taking a ride into the underbelly of the internet. Overall I loved it. Kevin does a great job telling a crime story from an insider's perspective. Kevin is a nerd's nerd and really knows his stuff, yet makes the technical details accessible to listeners with a layman's exposure to computers and networks. The narrator is somewhat deadpan and makes the story sound more boring than it is. It takes him a while to get going. Maybe it's just the origin story in the beginning that's kind of boring. I don't know, it just took me a while to get into the story, but once it got rolling the ride was well worth it. Fascinating non-fiction for computer nerds! 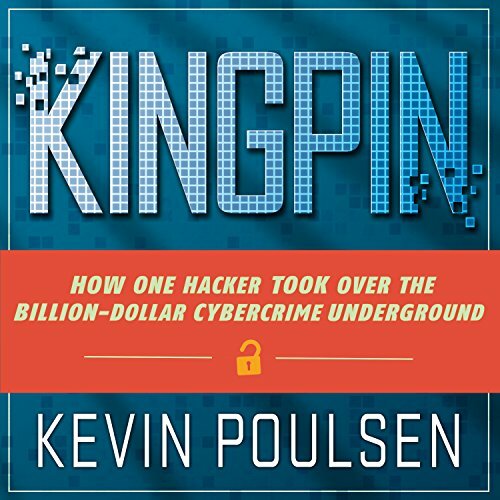 Kingpin is basically the story of computer hacker Max Butler with some other hackers in the US and Europe added. The story is maddening for those millions who have had their credit card numbers stolen and tragic to see a truly talented person go astray after repeatedly being given opportunities to go straight. Make no mistake, Max Butler managed a major criminal enterprise the stole hundreds of millions and his final sentence of only 13 years should have been much longer. Sure, he did help the Secret Service catch many others but his leadership role demanded a greater penalty. 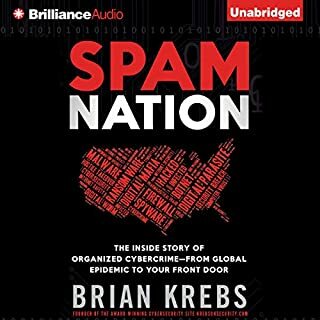 I'm not sure how this audiobook compares to others, as it is my first, but the story is fascinating. I picked it up for my cyber-security class in college. It is a little bit technical, but a great view into the hacker's world. Please America, implement the chip system for our credit cards. I enjoyed this book - but it took me a bit to warm up to it because it wasn't what I was expecting. If you're a geek, you'll probably love this book. The events and people referenced can make you feel a bit nostalgic and it has an interesting storyline. If you just consider yourself a little savvy - you'll probably like it too. The jargon is explained pretty well actually - enough for all but those who consider technology and its concepts entirely foreign. That said, the narrator doesn't need to do too much. The story reads like a news article, listing timelines and events with very little dialog. 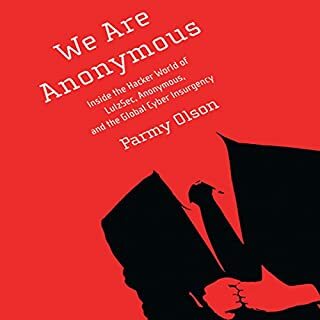 If you're looking for a highly dramatic action/adventure hacker tale from the point of view of the hacker or those who are tracking him down - then this is probably not for you. You may still enjoy it though as long as you know what to expect. only thing lacking is finer details into some of the hacks that were preformed. others got the whole treatment and we're finely detailed. 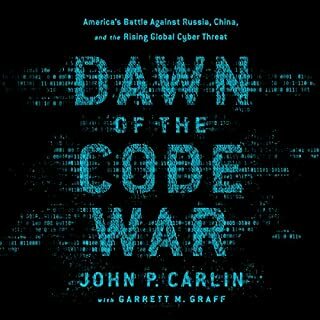 overall a well written tale into a hackers mind. It wasn't terrible, but it wasn't great either. 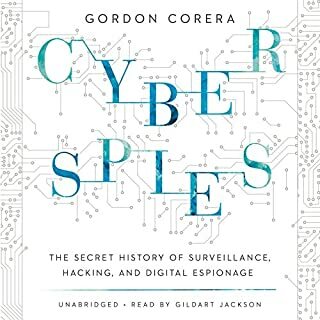 I listened to the entire book and I'm a tech head who likes Techno Thrillers in audio books. The narration was somewhat boring, kind of like a computer reading ti back to me. Very mono tone and didn't sound like he wanted to be there reading this. I can't say it was terrible either, so i'd say in the middle of the road for my review.